ROME -- "In one night, 120,000 Christians left their homes just with their clothes and have been living in camps for one and a half years. Is this not a crime against humanity?" 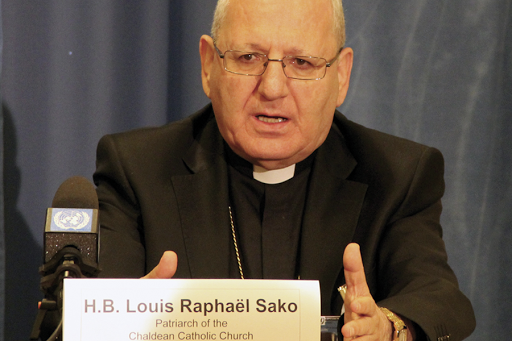 His Beatitude, Louis Raphael I Sako, Patriarch of Baghdad of the Chaldeans, spoke of this and other serious hardships and persecutions against Christians, at a recent Rome conference on religious freedom. 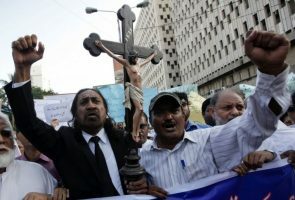 His accounts were just some of a growing number of harrowing accounts coming out of the Middle East matched by increasing calls upon fellow Christians in the West to act. So extensive and brutal has the persecution become that calls have been increasing in the U.S., the European Union and the U.K. to classify the atrocities taking place there as genocide. As well as the humanitarian emergency and forced displacement caused primarily by the brutality of the jihadist group Islamic State (ISIS), Patriarch Sako also mentioned other facts regarding persecution in Iraq not widely known. These included the approval in October of a law in the Iraqi parliament to forcibly convert to Islam children who are Christian, Yazidi and Sabean if one of the parents proclaims to be Muslim, and the advance of political Islam in which sharia (Islamic law) doesn’t allow non-Muslims to participate in politics and have equal constitutional rights as Muslims in administration. He further pointed out that the numbers of Christians in Iraq has collapsed, falling from 1.4 million before the collapse of Saddam Hussein’s regime to currently 500,000. But the archbishop noted “a much more important reason” why the Church should focus on Christian persecution: As Christians, he said, “we have a special duty in charity to our fellow Christians” to show them “solidarity” and come to their aid. He also advocated political reform underpinned by the principle of “citizenship and equality” that allows Christians and other religious minorities to be full citizens rather than “protected minority status”. 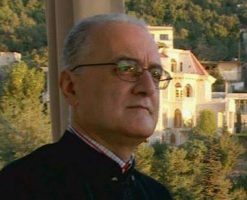 He called for a separation of religion from the state, and the criminalizing and punishing contempt for religion and the spread “hatred and division.” Islamic religious authorities, he said, must dismantle jihadist ideology and replace it with promoting “a culture of harmonious social existence,” and the international community should “issue decrees” through the U.N. against those committing injustices against religious minorities. Archbishop Gallagher called on the faithful to better educate themselves about the persecution so that they can be more open to their plight. He was particularly pleased that research by the “Under Caesar’s Sword” initiative would be used to “sensitize schools and churches” about persecuted Christians. As well as prayer, he also advocated a redoubling of humanitarian efforts. 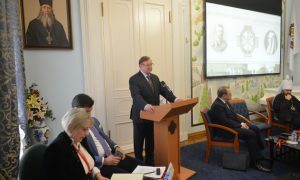 It’s necessary to “open our hearts” to the testimonies of persecution, he said, in order to have a “profound spiritual solidarity” with the suffering.